Hernandez tried to block the cell door from the inside by jamming the door with various items, Fallon said. Fallon said he's not aware of any suicide note written by Hernandez and stressed that an investigation is ongoing. He said that officials had no concern that Hernandez was planning on taking his own life, and if there was a concern about his well-being, Hernandez would have been transferred to a mental health unit. Hernandez was moved to tears on Friday after he was acquitted of the 2012 fatal shootings of Daniel de Abreu and Safiro Furtado in Boston. Just before his acquittal, Hernandez was seen blowing kisses to the little girl he fathered with fiancée Shayanna Jenkins. Cameras captured the tender exchange. 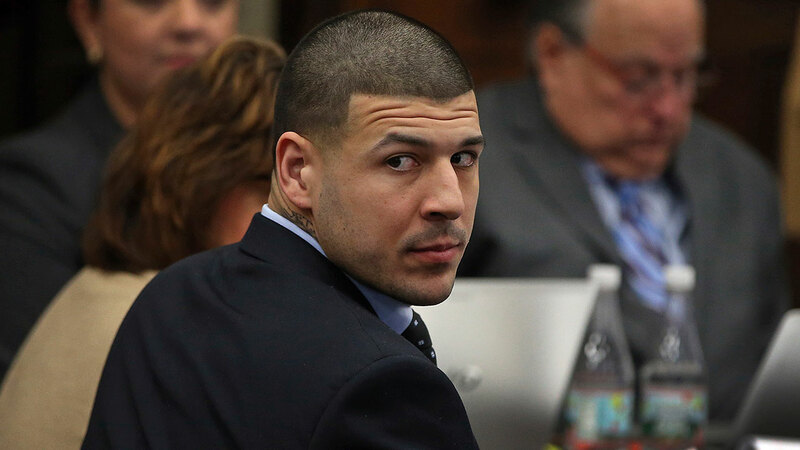 But, Hernandez was still serving a life sentence without the possibility of parole for his conviction in the 2013 shooting of Odin Lloyd, who was dating his fiancee's sister. Hernandez's lawyers did not immediately respond to a request for comment. Hernandez's death comes the same day the Patriots are making their visit to the White House today to mark their Super Bowl win. Team spokesman Stacey James said the Patriots were aware of the reports of Hernandez's death but didn't anticipate the club commenting Wednesday. Massachusetts State Police remain on the scene investigating the death. Associated Press writers Patrick Mairs in Philadelphia and Mark Pratt in Boston contributed to this report.